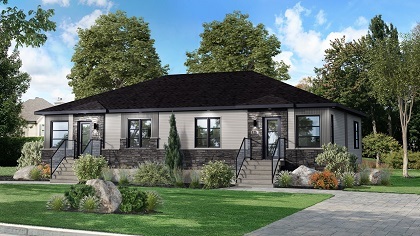 Simple, well thought out and with an optimized and ergonomic layout, this modular semi-detached will meet your needs! Whether for a first purchase, to reduce the maintenance time, a transition, … the MAGISTRAL modular semi-detached will be perfect for sure! Its laboratory-type kitchen has a walk-in pantry to optimize storage. The ground floor includes a master bedroom while the basement offers an optional one, two or even three bedrooms, a family room, a bathroom, etc., … all personalized according to your requests ! Need more storage? Add a garage! 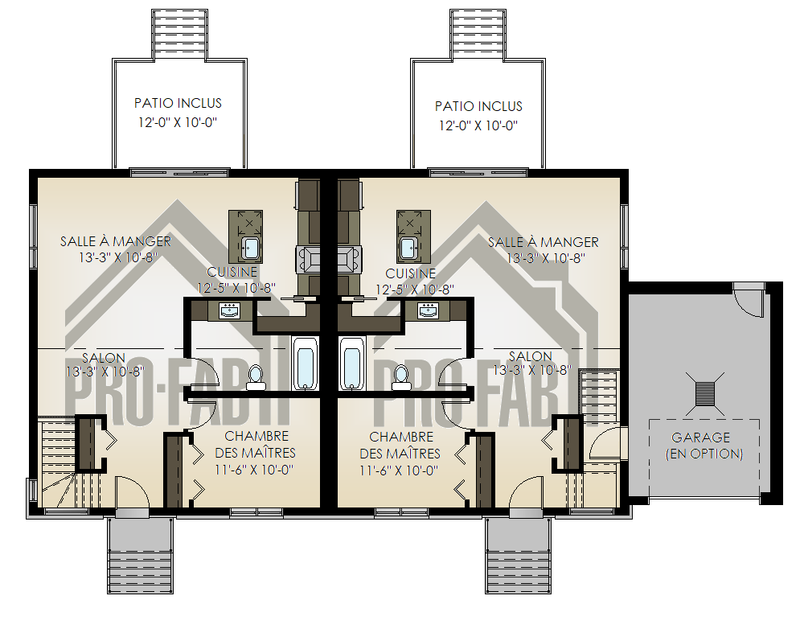 Like all our plans, the MAGISTRAL is customizable according to YOUR needs, YOUR tastes and respecting YOUR budget! The Magistral; the modular semi-detached worthy of a master!